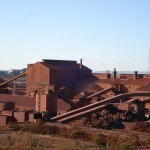 The Maldorky iron ore project. Image: Havilah Resources. Havilah plans to partner with SIMEC over the iron ore deposits to shift the company’s focus on its core copper and cobalt deposits. The due diligence, which has been funded by SIMEC, includes infrastructure studies that have led to expansions on three drillholes across the two prospects. This builds on the material provided by Havilah to SIMEC for metallurgical testing, such as RC drill samples from both deposits and drillcore from Maldorky. 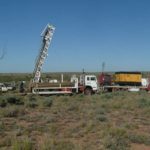 Havilah Resources recently completed the drillhole at the Grants iron ore basin to a depth of 624.4 metres. “SIMEC Mining’s decision to extend its exclusivity is a positive development for the potential commercialisation of Havilah’s iron ore projects,” SIMEC Mining chief executive officer Walter Richards said.